This high roller is going to be the next Royal Enfield. It's rumoured to have a brand new 410cc engine and so-called 'spy' shots (that nowadays are purposely blurred teasers released by marketing departments to raise interest and gauge opinion in a cheap and relatively risk-free way) have been circulating for a few months. The Indian market is crucial to RE, all exports currently do is add a gloss and give the machines extra credibility at home. The Bullet and Classic sell incredibly well in India, but the cafe racer style Continental GT didn't go down well with the home market where the very conservative domestic buyer just didn't get it. Why would you want a less comfortable riding position plus struggle to carry a pillion comfortably and use more fuel? So, it's hard to know how the Himalayan will go down, but I'm guessing better than the Continental did in India, because it's an easier concept to understand. Longer suspension, more ground clearance, tougher, possibly lighter and at least as frugal. These are all key desires for the Indian buyer. Still, the Bullet/Classic is such an icon and it's Royal Enfield's Porsche 911. Other models come an go, but the Bullet keeps slowly developing and remains the best-seller. Therefore anyone in the market for a new Enfield has to be drawn away from the Bullet. 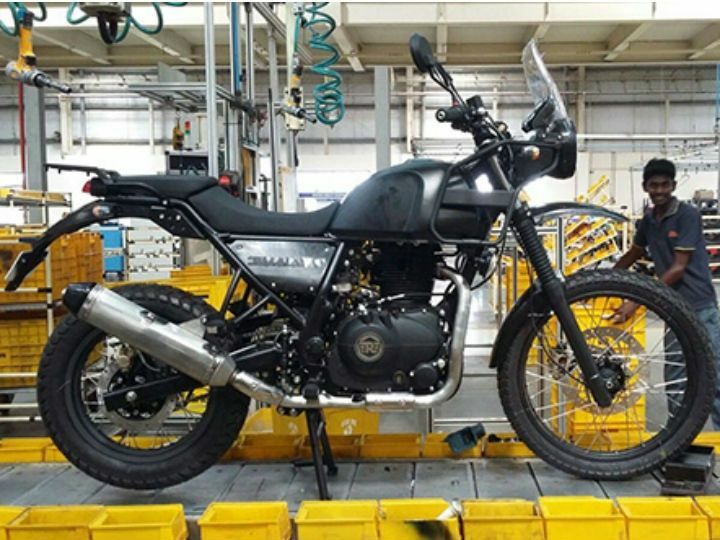 Royal Enfield may also be in competition with the Indian-built KTM Duke 200, but I think the Himalayan will be more expensive, meaning their only domestic competition is likely to be themselves. The Himalayan is almost definitely a design from the UK (Wrong! Ian, Xenophya co-founder, now RE, contacted me to say it's almost totally an Indian styling job) . Royal Enfield bought out the Northumberland-based independent vehicle designers, Xenophya, and moved them to Leicestershire to start up one of two technical and design centres for the Indian company, the other being in Chennai, India where the firm's two factories are based. Xenophya styled a number of RE models including the Classic 500 and Continental GT, and also worked with Triumph on projects including the Tiger Explorer. The new design centre has already attracted senior staff from Triumph, including former Hinckley product manager, Simon Warburton. Royal Enfield also employ Pierre Terblanche (lead designer of the Ducati Sport Classics and 999, and, more recently, the Confederate X132 Hellcat Speedster). Exciting times for Royal Enfield. Next year Pangi on the Himalayan ?